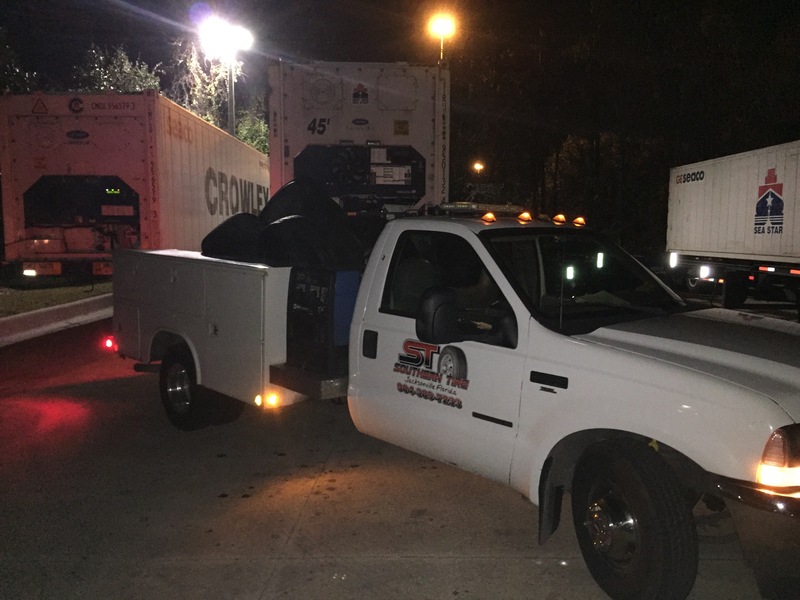 Semi Trailer Repair & Tires (904) 389-7233 | Southern Tire & Fleet Service, LLC. Southern Tire & Trailer services Jacksonville and all of Northeast Florida. We are a full service truck tire and semi-tractor trailer repair facility. We offer in shop and on-site repairs. Our 24/7 service line is (904) 389-7233. We have the largest inventory of used high tread truck tires in the area. New and Used wheels as well. Landing gear, roof leaks, wheel seals and ABS Brake systems are just a few of the common repairs we make each day.